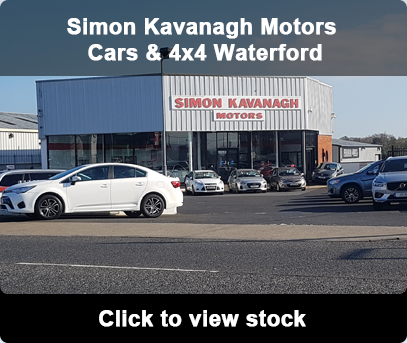 Welcome to Simon Kavanagh Motors, suppliers of quality used vehicles for County Wexford & Waterford. 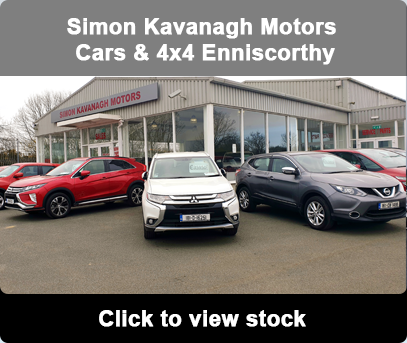 We are a family run business operating in the motor industry since 1988, with showrooms in both Enniscorthy, Co. Wexford and Waterford City. We stock an extensive range of pre-owned cars & 4X4's for sale. We carry out a full range of workshop services in our modern workshop facilities in both locations, which include car servicing, general repairs, NCT pre tests, and have the most up to date diagnostic equipment. We are conveniently located for motorists in Enniscorthy, Waterford, Gorey, Ballycanew, Arklow, Courtown, Bunclody and all over county's Wexford, Wicklow, Carlow and Kilkenny.